Applying to become Antioch Field Staff is a thorough application process that includes an application form, candidate interviews and a board review. During the application process, the review board may suggest a customized list of requirements for the candidate to complete. These requirements may include but are not limited to: counseling services, psychological evaluations, book recommendations, and other assessments. Our motive in this comprehensive set of requirements and questions is simply this: we want to learn how we can develop you better for what God has called you to do. 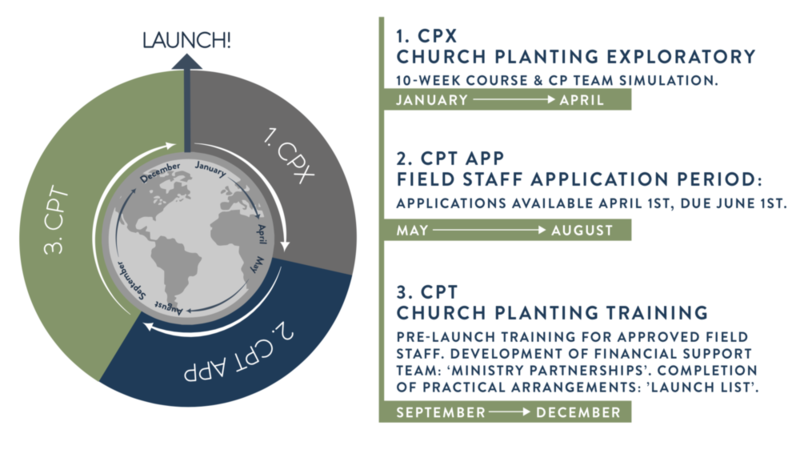 All accepted candidates must attend the next available CPT: Church Planting Training Course (see below), which also includes a week-long Antioch Movement integrated CP Intensive Training. All accepted candidates will receive provisional acceptance status for the applied position. Only after completion of the CPT course AND all customized requirements, will candidates be fully accepted as Church Planting Field Staff. Field Staff Applications are available on April 1st. For early decisions applications are due April 29th with the final deadline for all remaining applications is July 1st. Active member of an Antioch Houston Lifegroup. Minimum of 1- year service as Antioch Houston volunteer. You must be 100% free of debt on depreciating assets. Received an official invitation from an Antioch team leader to join their team. *Team Leader applicants must meet additional requirements, see GO administrator for more information on Team Leader application requirements. Global Team (GO Team) facilitates a series of interviews, assessments and vetting for each candidate. GO Team will present each candidates application to the Elders who will then make recommendations on acceptance. The Lead Pastor and the GO Team consult in tandem with elders’ decisions.